We all want our vehicles to sparkle and shine. Here’s how you CAN remove old car wax and add a newer coat. No loyal car owner forgets to wash his or her car. Similarly, the not so laborious task of applying car wax to retain a car’s color and glimmer is equally important. Car wax, if procured from the most trusted markets, is synonymous to a magical shield as it not only protects the color, but greatly limits the tragic possibilities of minor scratches. Specially formulated coloured car waxes are superbly effective in polishing hairline scratches. Alas, the time comes when you might want to remove the car wax coat. Perhaps, the old wax has lost its finish and it is time to apply a fresh new coat of wax to do away with the dull looking surface of your car. Also, UV rays, rains, washing and extreme weather conditions lead to depletion. Nevertheless, it is essential that you remove every trace of the old wax before splashing the newer coat and obtaining that much anticipated sparkle. This drives you to a common query, what is the most reliable technique of removing car wax from paint or the windshield? Here are some guidelines worth looking at. Just before you start, ascertain the type of finish present on your car. It is recommended that you identify the year, make and model of the particular car. Use this information to determine the required details as you contact a local Automotive paint supply store or dealership. Clean the bonnet of your car with a wet cloth and spray some water on it. If you notice a keen formation of water beads on the surface, it signifies that the wax finish is good and vice versa. 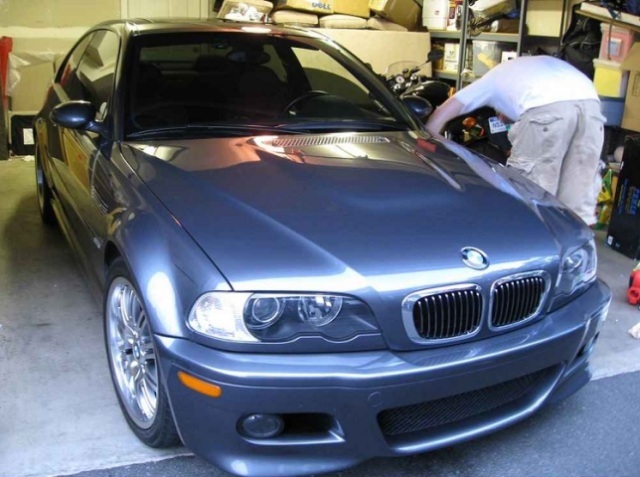 It is imperative to meticulously inspect your car to check if the paint is original or fake. Pull back rubber weatherstrips, emblems and trim for closer inspection. Open the doors, hood and trunk and scrutinize the insides for peeling paint and areas that were taped or masked off. Solvents, wax removers or other such chemicals work well with some of the older cars, but newer and sleeker vehicles necessitate abrasives to remove thin layers of paint. Apply rubbing compound to a small area. Buff it off like wax. This might be a little tedious, but the effort and dedication certainly pays off. Renting or purchasing a motorized buffing wheel is tempting as it eliminates the hard work. However, the downside lies in the fact that it may burn right through the paint! As soon as the wax residue vanishes, follow with a polishing compound and finally add about two coats of wax. Finish off with another layer of clear coat. If you decided to wax your vehicle because the paint was dull or discolored, and the wax will not come off, you likely needed a re-paint before you waxed it. Ensure that you clean the glass portions with glass cleaners only. When you spray water, it must be done at a very high pressure so as to not leave any soap residue. Heavy duty liquid soaps are supreme in stripping off old wax coats.